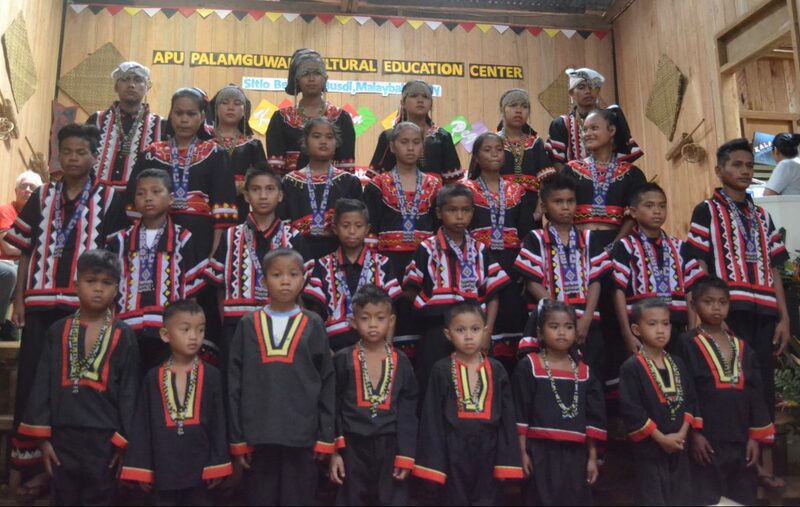 The Apu Palamguwan Cultural Education Center (APC) held its graduation rites on 28 March, but more than a celebration of its students’ achievements, the ceremony was first and foremost a celebration of community and culture. With the theme “Sa gaup tugdaan hu katatau daw kalandang aman ipananaw ta kabukalagan ta iyan taytayan hu kalambuan (The gaup, the source of knowledge and peace, is shared with the next generation as it is the path to human development)” the program highlighted the role of the ancestral domain and the community in instilling a sense of belonging and identity to the youth. Guest Speaker Ms. Victoria Tauli-Corpuz, UN Special Rapporteur on the Rights of Indigenous Peoples, highlighted the role of Indigenous Peoples in sustaining 80% of the world’s remaining biodiversity, and the need for communities to understand their rights in order to protect their ancestral domain. 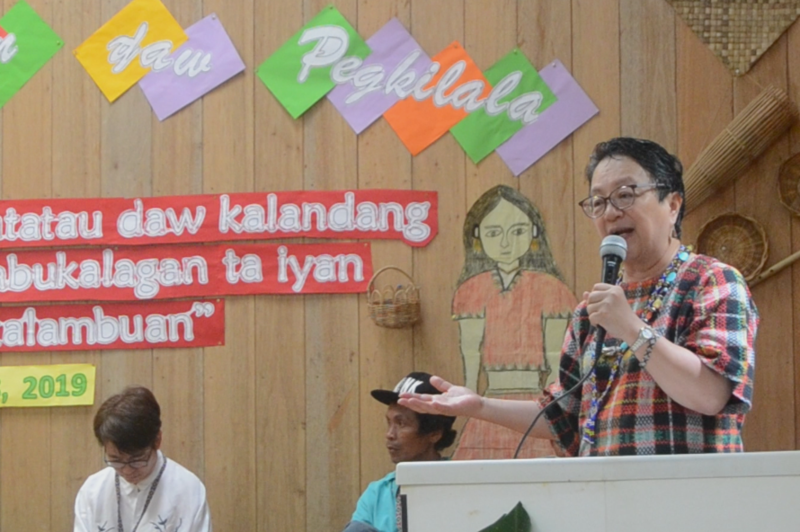 And with 2019 declared as International Year of Indigenous Languages, she emphasized the importance of making a conscious effort to sustain indigenous languages and cultural practices like the dasang of the Pulangiyēn, a rhythmic storytelling performed to express the peoples’ history or to resolve conflicts in the community. She affirmed what APC is doing, not simply teaching the youth to read and write, but also sustaining the Pulangiyēn culture. “The culture is where the youth will understand where they come from, their values, and their responsibility in the community. This reminds us who we are, what is important to us, and what we can contribute to the world,” she said. She also reminded the graduates to never forget their roots wherever they go, and to always think of ways to help improve the situation in the community. “You do not just study to understand the world; you study so you can change the world,” she told the graduates. Department of Education Indigenous Peoples Education Focal Person for Region X, Ms. Josephine Valledor, also attended the event and addressed the community. 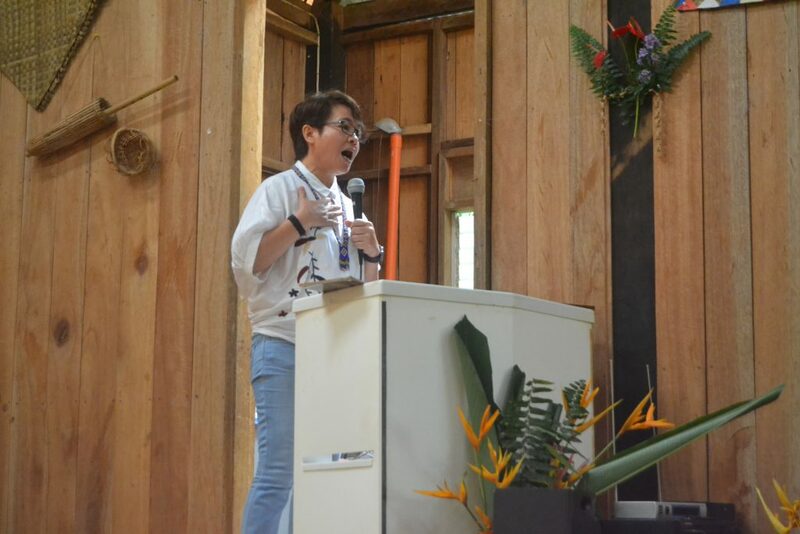 She expressed her happiness in seeing APC sustaining the youth’s sense of culture and identity and respect for their ancestral domain. “Thank you for protecting your gaup (ancestral domain). In doing so, you sustain the life of all,” she said. These sentiments were echoed in the presentations and speeches of the students. “What I will never forget that I learned from APC is about the gaup that we must care for, especially the forest as this is where the water comes from and where our life springs,” Angelina Guilosan, Grade 6 said. “One day, we will be fathers, mothers, and community leaders too. We will strive to do for the next generation what you have done for us today. We will use what we have learned to protect and sustain our gaup,” Juanito Ampohon, Grade 10, added. Eight pupils graduated from the preschool program, 13 from Grade 6, while six completed the junior high school program. Nine community youth finished the Hulas training in Masonry and were awarded national certifications from TESDA, and seven completed the Global English Language Program (A2 course) in partnership with Jesuit Worldwide Learning.